Founded in Japan in 1992, A’PEXi has grown from just a small tuning parts manufacturer to a multi-industry international powerhouse. The A’PEXi group of companies will continue to grow with motorsports and the international street tuning culture as its core. Countless technologies and groundbreaking innovations have been recognized through the one passion that brought this all together: The automobile. We invite you now to look at our original and most explosive product lineup yet- our Street Tuning Catalog. We sell the full line of A’PEXi products and applications. Please contact us to inquire about specific applications not listed on our website. Agency Power Industries LLC was developed out of the need to provide quality, functional, and fashionable racing products. Starting from sway bar endlinks for the Subaru WRX back in 2003, Agency Power now has and indepth number of parts for cars ranging from Porsche, BMW, Ferrari, Subaru, Mitsubishi, Nissan to many more. Based out of Gilbert, Arizona, Agency Power has established itself as one the core aftermarket companies for niche tuner products. Agency Power is constantly developing new functional and race proven products. With dealers worldwide, the AP brand is recognized and trusted. Beyond the USA, Agency Power can be found in regions such as Singapore, Canada, Australia, South Africa, Russia, United Kingdom, and other parts of the EU. ALTA Performance manufactures and supplies the finest MINI Cooper products on the market today. Our full line of products hits every aspect of performance modification for your MINI. From suspension to engine performance, ALTA makes the products which will boost your performance to the next level. Using the finest materials and labor found here in the United States, you are assured that ALTA stands for quality and value. We sell the full line of ALTA Performance products and applications. Please contact us to inquire about specific applications not listed on our website. We sell the full line of AMS Performance products and applications. Please contact us to inquire about specific applications or styles not listed on our website. AWE Tuning is the authority in performance engineering for German automobiles. From award winning hand-crafted performance exhausts to track tested big turbo kits to vetted performance products including GIAC, Bilstein, H&R, Brembo and more, AWE Tuning innovates, designs, retails and distributes choice performance products globally through it’s preferred network of dealers, online and out of its headquarters outside of Philadelphia, Pennsylvania. Since 1991, our elite team of researchers, engineers, innovators and drivers have track-tested and introduced premium performance upgrades for some of the finest automobiles in the world. Cosworth leverages its successful motor sport pedigree, performance technology expertise and globally recognized brand to provide high quality engineered solutions for a growing customer base across diverse industries. The company is home to leading edge engineering, world class manufacturing and comprehensive test facilities. Our business is geared to deliver smart solutions and exceptional service to customers around the world. We sell the full line of Cosworth Performance products and applications. Please contact us to inquire about specific applications not listed on our website. 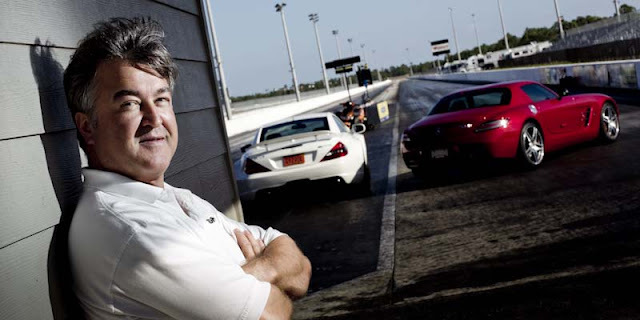 Crawford Performance, founded by Quirt Crawford in 2002, specializes in designing and building high-performance vehicles that excel in time attack racing formats. Crawford Performance is recognized around the world for its successful customization of ken Blocks Gymkhana 1 and 2 vehicles, which consistently exceeds expectations on the world's most progressive racing circuits. In addition to building performance racing vehicles, Crawford Performance also creates custom high-peformance componenets for racing enthusiasts, and develops marketing partnerships with prestigious companies that are committed to motor sports as a method to reach their most valued customers. At CT Engineering, we recognize that properly tuning a vehicle to improve its performance involves more than grabbing a part off the shelf and making it "fit" your car. As and Acura and Honda owner, you have a unique opportunity to enhance the performance of your vehicle using the same technology that we have developed exclusively for the refined street enthusiast. Whether you drive the high-tech NSX, an Acura sedan, Integra or Honda Civic, be assured that every CT Engineering® product has been thoroughly evaluated, safety and driving enjoyment is in mind. All products are carefully inspected to ensure the fit and finish that you expect from CT Engineering. When we say "proven" at Edelbrock we mean it. Many hours of research, design and testing go into each Edelbrock product before it goes to market. Through teamwork, good equipment and dedication, Edelbrock designs and manufactures products that deliver maximum performance. We sell the full line of Edelbrock products and applications. Please contact us to inquire about specific applications or styles not listed on our website. ESS was founded 1995 in Aremark, Norway. The company started out with a yearly production of 30 SC systems, in 2004 total production passed 1000 SC systems making us the largest BMW supercharger system manufacturer in the world. From 2000, we started offering a constantly growing chip tuning selection for many European models based on our extensive expertise with Bosch and Siemens engine control systems. Our goal when developing a new tuning product is to enhance the performance characteristics of the car without compromising comfort, drivability, durability, emissions and fuel consumption under normal driving conditions. When you purchase a ESS product you can rest assured you get a completely tested product that is proven to perform to specification under all conditions. ESS products are engineered and manufactured to the highest level of quality. Founded and maintained by enthusiast for enthusiast, GReddy Performance Products has continued to be committed to delivering useful, quality, aftermarket performance products to the tuning fan. From the begins in Japan of TRUST Company LTD., over 30 years ago, we continue to aim to provide a complete array of performance products to maximize the excitement and enjoyment you get from your vehicle. We use our concept of the TOTAL TUNE-UP to design and innovate products to enhance other products, thus exponentially increasing the fun of your driving experience. We sell the full line of Greddy products and applications. Please contact us to inquire about specific applications not listed on our website. Since its beginning, HKS has been committed to providing well-integrated, reliable,and environmentally sound performance systems. Mr.Hasegawa ’s strong leadership, engineering genius, creativity and willingness to listen to customers are the pillars of the company ’s success. Monitoring consumer reaction and input on issues pertaining to material quality, external appearance, sound quality, and of course, performance, HKS stays in tune with automotive enthusiasts’ needs. Moreover, HKS’ products are designed to be user friendly for easy installation. We sell the full line of HKS Power products. JUN began as the research facility of Tanaka Industrial Co., Ltd. and originally focused on disassembling and improving engines. It now manufactures cars with a high level of engine performance and also manufactures car parts. JUN is regarded as one of the leading Japanese tuners and its products are exported all over the world. At the core of each KraftWerks kit is a patented Rotrex traction drive supercharger, capable of over 200,000 RPM. The proprietary design allows the Rotrex supercharger to be lighter, smaller, quieter, cooler, and run higher RPMs than all other competing superchargers, and results in superior efficiency, reduced emissions, and improved transient response. KraftWerks Supercharger kits offer a broader, more usable power than anything on the market. A broad power band makes for a better street and race car, and demonstrates the superiority of the Rotrex design. KraftWerks designs kits for a variety of vehicles. We specialize in the development, manufacture, installation and sales of high performance automotive parts and engines. Among our products is the VX-ROM, which is considered a pioneer in the field of engine management. Our tuning philosophy is to focus on maximizing the balance of power, handling and braking whilst using our extensive experience and data to maintain reliability. PERRIN Performance manufactures and supplies the finest Subaru, Evo, and MINI Cooper products on the market today. Our full line of products hits every aspect of performance modification for your car. From suspension to engine performance, PERRIN makes the products which will boost your performance to the next level. Using the finest materials and labor found here in the United States, you are assured that PERRIN stands for quality and value. Our customer service, sales and technical staff is always available to help you with questions or concerns. From live instant chat messaging on the website, to e-mail or phone, we pride ourselves on the unique levels of customer service we provide that are simply not found elsewhere in the aftermarket industry today. We sell the full line of Perrin Performance products. Please contact us to inquire about specific applications or products not listed on our website. Pfadt Race Engineering is a well respected engineering firm that is dedicated to developing high performance suspension systems for the C5 and C6 Corvette as well as the all new 2010 Camaro. Pfadt Race Engineering produces innovative performance products that are meticulously engineered and tuned on the race track by professional drivers such as Johnny O'Connell. Our customers experience an all new level of control that inspires confidence whether they are on the street or race track. TiAL® Sport Inc. USA takes pride in establishing its company reputation by designing the highest quality engineered products for today's performance turbo charging systems market. The production of TiAL® Products super alloy based 46mm™ wastegate was the inception of the company's ability to design, manufacture and deliver to the market a high performance and high quality product at a market competitive price. We are proud to bring to you our USA made, high-performance automotive products. Our main goal is to design, engineer, and manufacture the best possible products.At TiAL® Sport we believe there is no room for compromise. We only create innovative designs and produce and deliver the highest level of product integrity. We sell the full line of TiAL Sport products and applications. Please contact us to inquire about specific applications not listed on our website. Mr. Seiichi Suzuki initially forged TOMEI is a tuning factory for race cars back in 1968. (Established as TOMEI JIDOUSHA Co. Ltd). From that day onwards TOMEI achieved excellent results in various motor sports categories. TOMEI was then recognized for its technology, performance and reliability that we had cultivated into our own design products and had a large support base from motor sports end users and tuners. Then the "TOMEI" brand was born through experience. With the new market trends & demands, motoring enthusiasts wanted better performance to suit the new modern lifestyle. This trend helped set the stage where originality can play an active part in the motor sports scene and personal motoring lifestyle. The "TOMEI" brand fed our latest technology back into the field in which we had received our results from various motor sports scene. We sell the full line of Tomei products and applications. Please contact us to inquire about specific applications or styles not listed on our website. TPC Racing is the Mid-Atlantic's premier maintenance, service, tuning and modification center dedicated solely to Porsche sportscars. This long time focus on only one make, Porsche, has enabled us to become experts in Porsche service, tuning, and racing. To this day, TPCRacing remains active in the Porsche community where the team laid down roots, and uses the team’s professional, club racing and street Porsches to develop engine and suspension components for its partners. TPCRacing has an aggressive engineering program, focused on developing powerful superchargers and responsive shocks and dampers for professional and clubsport cars, keeps performance-hungry Porsche owners fed a steady diet of racing-derived aftermarket parts. We sell the full line of TPC Racing products and applications. Please contact us to inquire about specific applications or styles not listed on our website. Since 1978, Turbonetics has been the leading source for turbochargers and forced induction components. Founded on performance and racing applications, the extreme testing placed on our patented technology by the aftermarket, allows Turbonetics to succeGlobal Marketsssfully address challenges faced by a wide variety of industries. Today, Turbonetics manufactures turbocharger, heat exchanger and control products for gasoline, diesel and alternative fuel applications. Turbonetics has the unique ability to combine our individual component specialties with precise engine tuning to create incredibly reliable and powerful bolt-on forced induction systems. No other company has the expertise for designing and engineering but also applying and manufacturing forced induction solutions. The VF-Engineering management and engineering team derive their experience of high performance supercharging since 1996 in the UK. Working on modern sports cars such as Audi, BMW, Lotus, Porsche and VW in joint and proprietary projects and partnerships with firms in the UK, Switzerland and USA has given VF the opportunity to market product in European, USA and world markets. VF obtains the latest information and has access to new model vehicles as they roll off the production lines in Germany through OEM connections, clients and manufacturers' organizations. We sell the full line of VF Engineering products. Founded in 1987 by Art Whipple, a successful drag racer and innovator. Art's successful drag racing career included multiple MPH and ET national records, countless match race wins as well as winning Funny Car at the Winternationals and famed NHRA US Nationals in Indianapolis. Whipple went against the grain and developed the twin-screw supercharger, which was a very efficient design, but overly expensive and not well known in the US. After successfully adapting to multiple GM and Ford engines, history was in the making as the evolution of supercharging forever changed. Whipple has become one of the most respected aftermarket supercharger companies and the choice of Ford and General Motors for there aftermarket needs. Whipple currently leads development and is the only US based manufacturer of the twin-screw supercharger. While continuing to expand, Whipple has also continued to succeed in new SC developments and far superior design and engineering. While others compromise, Whipple continues to exceed peoples expecations and dominate the competition. We sell the full line of Whipple Supercharger products and applications. Please contact us to inquire about specific applications or styles not listed on our website.